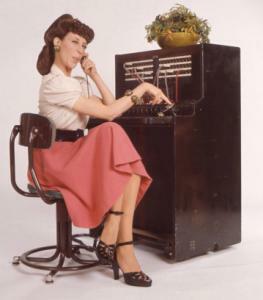 If I don't have a landline, why can't I just go from the hub's PHONE jack to the wall and then wouldn't any phone in the house work w/o a scout? Re: No landline installation option? That's what I do. Just "phone" jack back to the wall, then all phones in my house call through the hub. Does the house wiring have to be physically disconnected from the street/phone company's wiring to do this? No, it doesn't, however there have been issues with the voltage (or noise) left on the line that interfers with the Scout, if you use one. If you have the ability to disconnect the old landline connection from the house wiring, I would, just to avoid further issues. Disconnecting the home's internal wiring is not the intimidating task that it once was. For at least the last 30 years or so, telco's have installed a network interface box that has a simple method of disconnecting the home's wiring from the network. This is either a little cable with an RJ-11 plug on the end or a hinged RJ-11. The jack side (female) goes to the central office - the plug (male) goes to the house wiring. If you have more than one line wired in the house, you will have one of these plug/jack units for each line. If you ever decide to go back to a landline, all you need to do is replace the plug. There is one cavaet - if you use DSL remember that your Internet connection will die if you disconnect the line that feeds your DSL modem. If that is your situation, you might consider changing the wiring that feeds your dsl modem to line 2 (the white/orange pair) and that leave the rest of the house able to just plug a phone into any jack, unmodified. If your network demarcation box uses the little wires, sometimes you can just plug the second line plug into the first jack. Then, at the location where your DSL modem is, either use a 2-line splitter (Radio Shack has them) or a wall plate with 2 jacks. Line 1 jack goes to the phone jack on the hub, line 2 goes to your DSL modem. Thanks guys! Sounds good - I guess even though I don't have too, I will go ahead and disconnect the line to the street since I use cable. Then I won't have to worry about ANY potential issues! Thank you all for the information and advise. It's also a good idea if (as in one case I installed) Qwest leaves the phone service active after the number port completes!